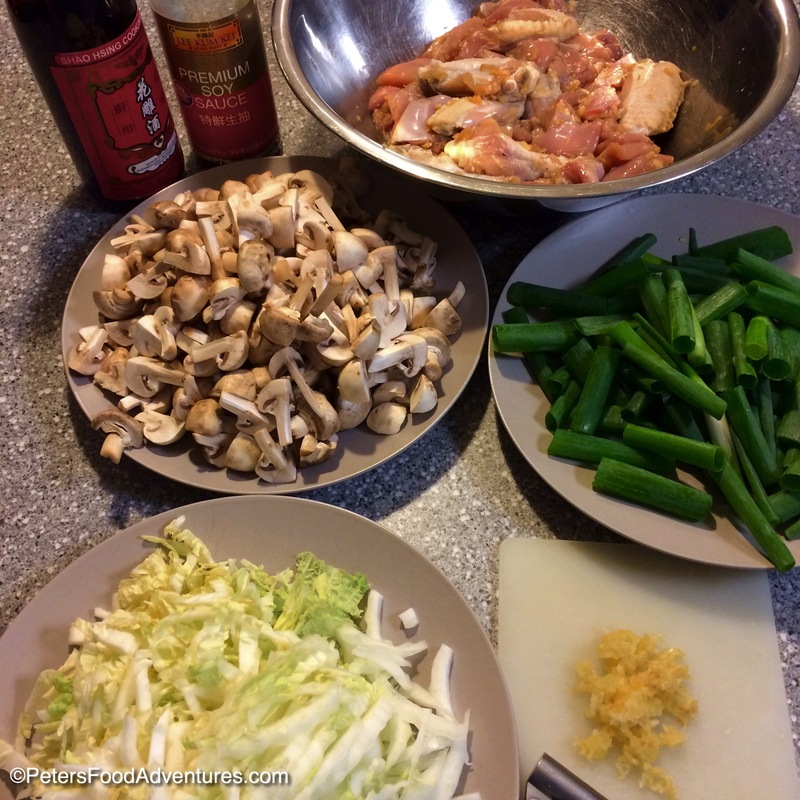 Chinese Chicken Wing Stir Fry Recipe isn’t a very common stir fry recipe, but it should be! Chicken wings are commonly fried in a wok in lots of oil until crispy, but aren’t usually eaten with rice as a stir fry. This is a recipe that my mum made for us while we were growing up. With my parents being born and raised in China, growing up, we ate a lot of delicious Chinese food. As a kid, I especially liked the mushroom sauce that I would eat up with the rice. What I didn’t like was the chicken skin! 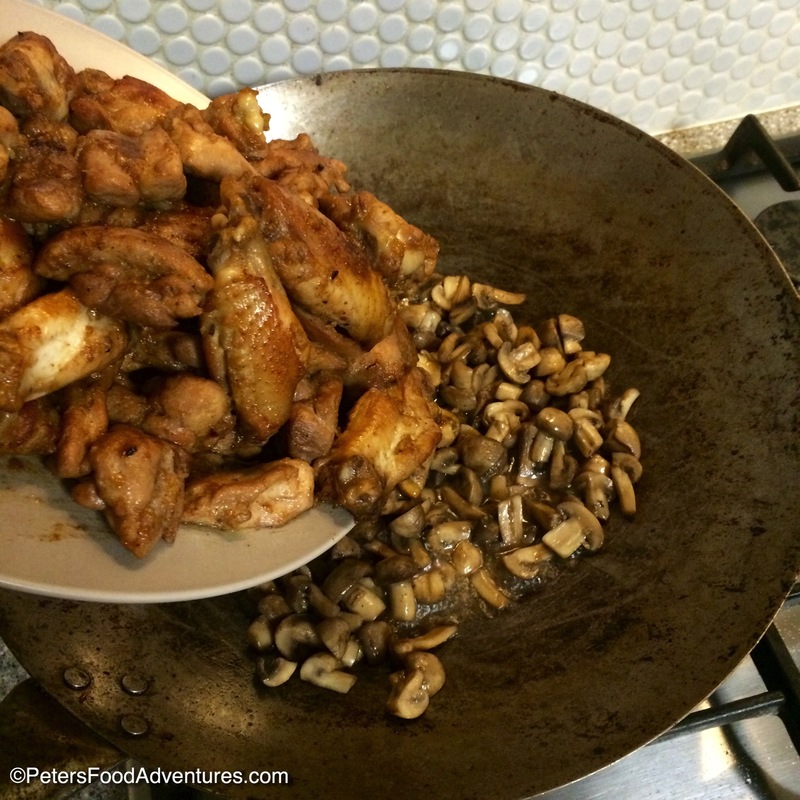 My mum’s Chinese Chicken Wing Stir Fry recipe was made using only chicken wings as the meat, which was easy and everybody loves marinated wings! I added boneless chicken thighs, as they are so flavourful and add extra meat to this meal. 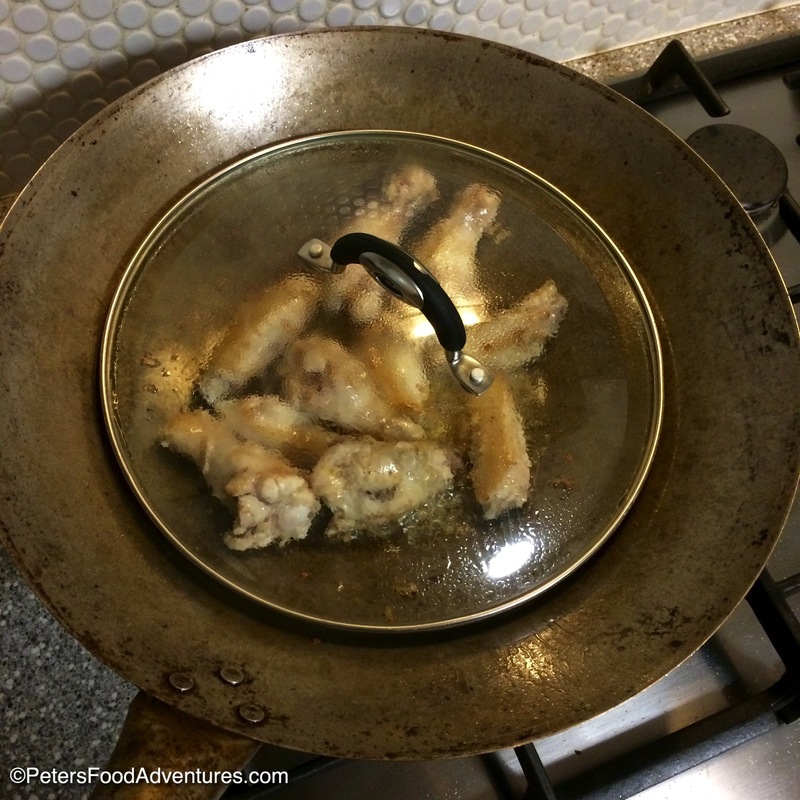 It’s important to use a lid to cook the wings in the wok, because the bones need the heat to fully cook through. When the wings are cooked, I remove the lid and fry them extra on high heat, uncovered, to crisp up the skin. This dish is not shy for garlic, don’t be afraid, add extra garlic! Mum always said that garlic is Russian penicillin (and the Chinese are no strangers to garlic also). As the garlic marinates, then fries out, it’s potency is reduced immensely. Chinese Napa cabbage has a lot of water content, and cooks down very quickly. Initially it looks like a lot, but it its not really. TIP: For extra flavour, when I make the corn flour mixture, I mix it in with half a cup of cold chicken stock instead of plain water. Chinese Chicken Wing Stir Fry Recipe is easy to make, delicious and full of flavour, definitely worth the effort. Bon Appetit! Приятного аппетита! 7 green onions - cut into 3" pieces mum said the length like your finger! Put the chicken wings and chicken thighs in a large bowl and add 3 tablespoons of soy sauce, Shoaxing wine, 1/2 teaspoon salt and 8 cloves of garlic. Mix together until meat is fully coated and marinate for a minimum of 2-3 hours (overnight in fridge is best). Heat wok on high and add 3 tablespoons of oil. Brown the chicken wings for about 2 minutes growing both sides. Add 3 tablespoons soy sauce and put a lid over the wings and fry for about 8 minutes. If wings aren't brown and crispy, turn up the heat to high and fry for an extra few minutes to crisp them up. Set aside. Heat wok on high and add chicken thighs and cook them until they are cooked and golden brown. Add the cooked chicken wings and 4 cloves of garlic and quickly fry them together for 2 minutes and set aside. The fresh garlic will boost flavour. 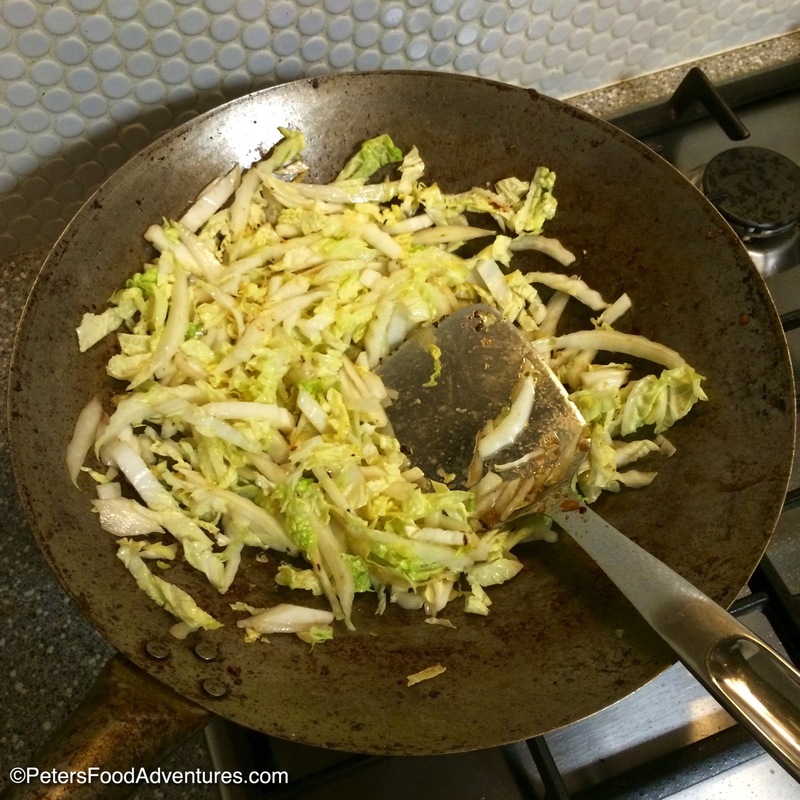 Heat wok on high, add 1 tablespoon oil and fry Chinese Napa cabbage and cook for about 2-3 minutes until it starts to shrivel, juices are released. Set aside with juices. 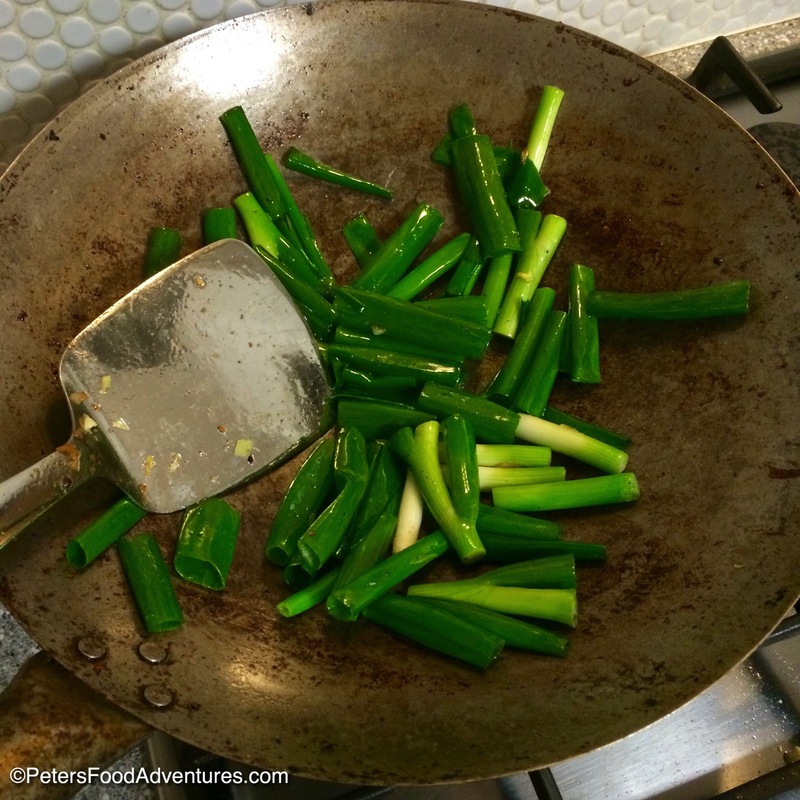 Heat wok on high, add 1 tablespoon oil and fry the green onions for 2 minutes until softened. Set aside. Heat wok on high, add 1 tablespoon oil and fry mushrooms. Cook until they are soft and have released juices, waiting for the liquid to start to reduce. Salt to taste. 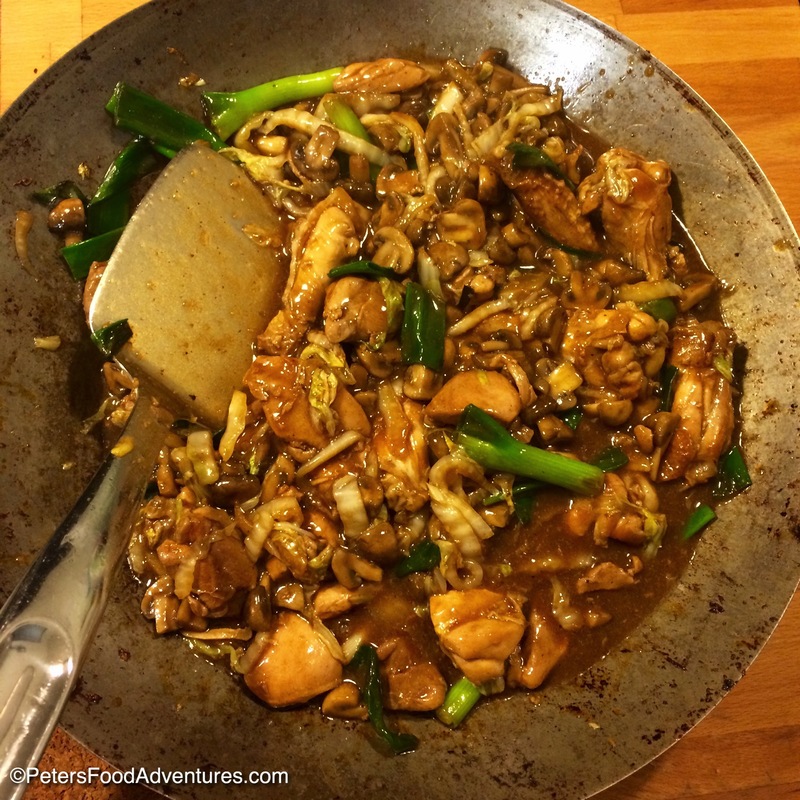 Return the chicken meat, cabbage, and green onions to the wok with mushrooms, and stir until combined. Add extra soy sauce to taste. I also added an extra tablespoon of dark mushroom soy, as it gives the dish a nice colour and flavour (optional). Mix the corn flour with 1/2 cup of water so it isn't lumpy and add it to the stir fry. This will thicken the juices creating a sauce. Continue to cook for 4-5 minutes until it thickens and the starch cooks. Serve with rice. Super! Let me know how it goes! Sorry Charlotte Ruijin Zhou! I accidentally deleted your comment!!!Sorry! Thanks, I’m glad I got the recipe too!